These fall planter ideas will help you choose and create beautiful container gardens that will last well into the winter season. 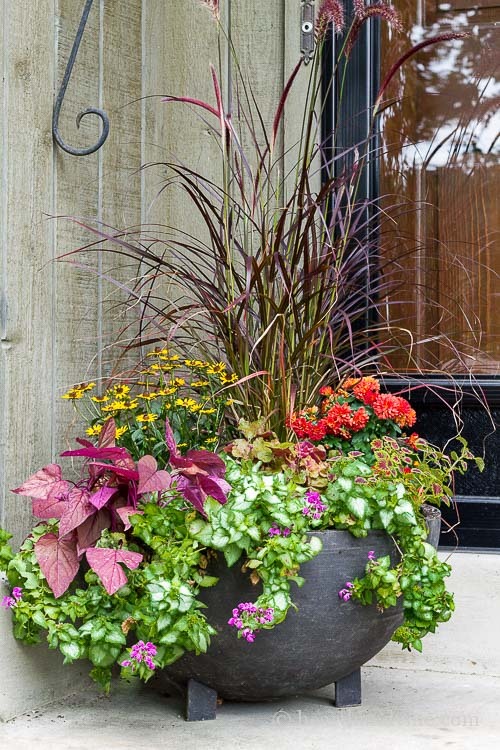 As summer comes to an end, it’s time to spruce up or create new pots of color, for your entrance. 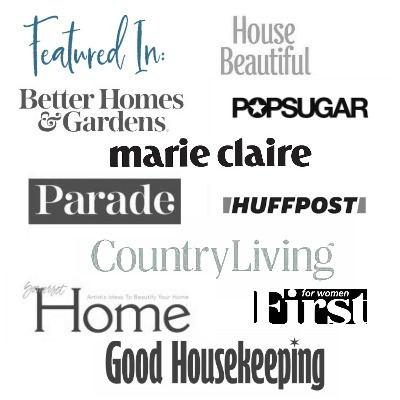 Today I’m sharing some of my favorite fall planter ideas that will last several months. I dug up the begonia in the back and re-potted it to bring inside. Then I cleaned up any dead or poor looking foliage and created a beautiful planter for the fall. I kept the lamium because it will overwinter in this pot, and it has a nice creeping nature. The three plants shown above are all annuals. They will not make it past a couple of frosts, but since the planter is located on a covered porch, I trust that they will hold their own through the end of November. Even better choices are the three listed above because they’re all hardy perennials to my area, and will last through the winter. Depending on how cold it gets, I could keep them there until next year. However, I will probably move them into the garden, on a warm day in late November, early December, to make room for new Christmas decor. A couple of other great annuals would be ornamental kale or a different variety of coleus. If you want to have two flanking pots, consider buying one of each and dividing them into two. This works for many of the plants above, sold in quart and gallon pots, and will save you money. It also allows you to plant a greater variety into a smaller pot. Also, don’t be afraid to add in gourds or even a few sprigs of artificial berries to give your planter more color and texture. I would have liked to purchase all perennials for this planter. Still, the purple fountain grass to me is so gorgeous, I felt it was worth the price. And, the sweet potato vine and coleus have been at the nursery from the beginning of the season, so I was able to purchase them at 50% off. I do love a bargain. Thanks so much for this! I really want to put some planters around my hot tub to make it look a little more green and fresh, but I am not the best at looking after plants. the purple fountain grass is sooo perfect for autumn. Purple fountain grass is soooo pretty. I bet it would look great around the hot tub.